Episode 7: "The Death of a Don"
At Stratford University, Derek Robinson, a friend of Barry Chan, has just completed a piano composition. At his recital, Dr. Wellman, Derek's music professor, orders him to stop, calling his music "undisciplined drivel." The result is a heated argument between the two with Derek leaving and suggesting that there is nothing in the future for people such as Wellman – only death. Charlie Chan pays a visit to his son, Barry, who is currently taking classes to help out with his scientific approach to criminology. Derek stops by, telling how he has been expelled for subordination. 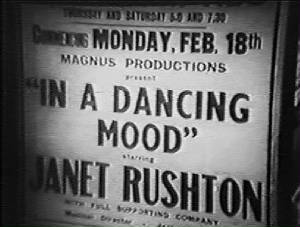 At a local theater, Wellman asks the musical director, Jack Pearson, if he can see Janet Rushton, his estranged wife and the star performer of the latest show. Wellman has come to ask Janet to come back to him, but she refuses. Wellman feels that she is now romantically involved with Pearson, though she denies it saying that their relationship is purely professional. At a performance that evening, Chan and Barry are in attendance as are Dr. Wellman and Derek. During the intermission, Chan and Barry run into Derek with Barry encouraging Derek to take the opportunity to offer an apology to Wellman. Seeking to do so, the situation grows ugly with Wellman threatening to call the police. As Derek storms out, Chan muses, "Hot heads never cool, just get more hot." Wellman meets with Janet backstage, handing her an envelope containing his resignation from the university, should she decide to post it. As the performance resumes, the theater doorman witnesses Derek fleeing after being seen crouching next to Wellman’s lifeless body in the alley. The next day, newspapers all point to Derek as the killer of Dr. Wellman. Chan agrees to help prove the innocence of Barry's friend, to this end meeting with Inspector Rawlins, Janet, and Pearson to collect details about the crime. Rawlins relates that the murder weapon was a circular instrument that was about the size of a pencil. While searching the theater for clues, Barry tells his father that he has found the murder weapon – a hatpin from a Japanese costume belonging to Janet. 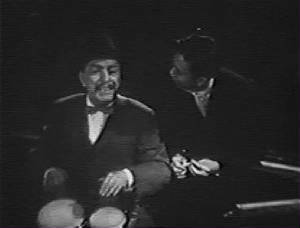 Banging on a set of bongos, Chan, seemingly indifferent, informs Barry, "No problem, case already solved." At that night's performance, during the bongo solo, Chan finds Pearson backstage, suggesting that he is the guilty party, having killed Wellman out of jealousy, committing the murder during the bongo solo which offered ample time during which to carry out the deed. He was afraid that he was about to lose Janet as well as his position had she left the theater for Don Wellman. Chan quickly pulls the murder weapon – a hatpin - from Pearson’s coat. A struggle ensues with Barry coming to his father's aid, overcoming Pearson. Do not underestimate old-fashioned use of brains. There is most ancient remedy for dealing with hot-tempered people: apologize. Fading flower no longer attracts bee. Very few people have natural appetite for eating crow. Hot heads never cool, just get more hot. Hungry man never gets handout from minding other people's business. Mouse pokes head in mouse trap - clook! - no head. In murder cases, I find it very unwise to throw all eggs at one suspect. Independent eagerness for research always commendable.